Tribeca Digital Studios and American Express co-produced a series of three short films (Buffalo Returns, A Dream Preferred, and The Downtown Project) that celebrate small businesses and the creators at the forefront of the entrepreneurial renaissance. Academy Award-nominated filmmakers Gini Reticker (Pray the Devil Back to Hell), Morgan Spurlock (Super Size Me) and Heidi Ewing & Rachel Grady (Jesus Camp) have brought stories to life that explore the nature, shifts, and struggles of young business development; the pioneers, inventors, and dreamers at the helm of these ambitions; and the impact these ventures have on their communities. The films debuted on July 15, 2015 on a host of cable on-demand platforms in over 40 million homes including Comcast, Time Warner Cable, Verizon, Cablevision, Cox and Brighthouse, Vimeo, interactive smart TV app American Express NOW, the American Express YouTube Channel, and American Express OPEN Forum, an online community for small businesses to inspire and help them grow. 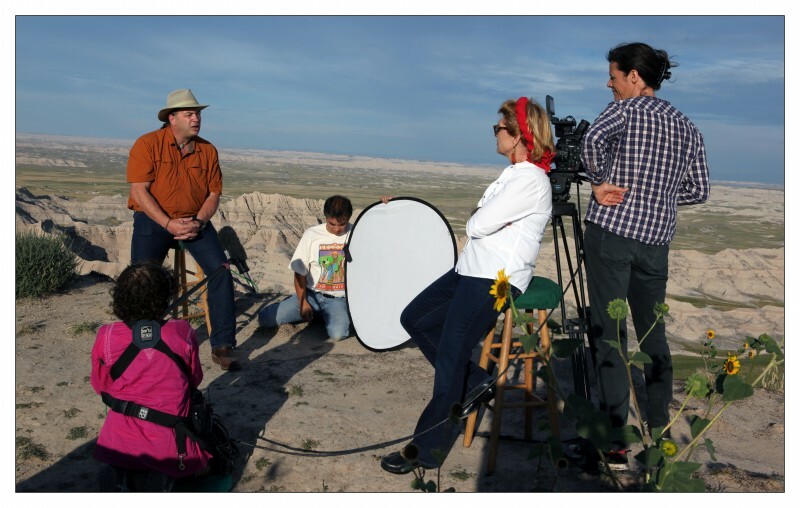 Founded in 2006 on the Pine Ridge Indian Reservation, Native American Natural Foods owners Karlene Hunter and Mark Tilsen imagine a world filled with healthy foods that add to the restoration and preservation of our lands and ecosystem — a world without the pain of starvation or obesity. The world they imagine embraces the lifestyle that Native American people lived just over a century ago. Their Tanka Bar is a low fat, gluten free energy snack made from prairie-fed buffalo meat and cranberries.